When it comes to raising funds for a specific cause, an organization has to stand out amongst a large crowd of creative, innovative and thriving nonprofits; an organization has to be original. At NonProfit PRO, we are always searching for organizations that are stepping up and doing something out of the ordinary; organizations that are unique and eye-catching. We came across an advertisement not too long ago that caught our eyes. What caught our attention was the incredible graphics of the advertisement. It was different hues of bright and vibrant blues, and in the middle of the advertisement was a soldier with his back turned toward us. Beyond the soldier were faded still shots of different activities (baseball, ballet, football, soccer, etc.). The top of the advertisement said, “TICKETS FOR TROOPS,” and the middle of the advertisement said, “GIVE SOMETHING TO THOSE WHO GAVE,” right below the organization’s logo. We knew we had to look into this organization a little further. The organization is called Vet Tix, a nonprofit that “provides free event tickets to currently serving military, veterans and family members to sporting events, concerts, performing arts and family activities,” the advertisement said. According to Vet Tix’s website, there are 16.6 million veterans who have served our country and 3.6 million veterans who have sustained service-related disabilities. Because wounds due to war can be mental and physical and can last a lifetime, Vet Tix is a way to support these veterans in their transitions back to their normal, daily lives, which makes them stand out in the crowd. 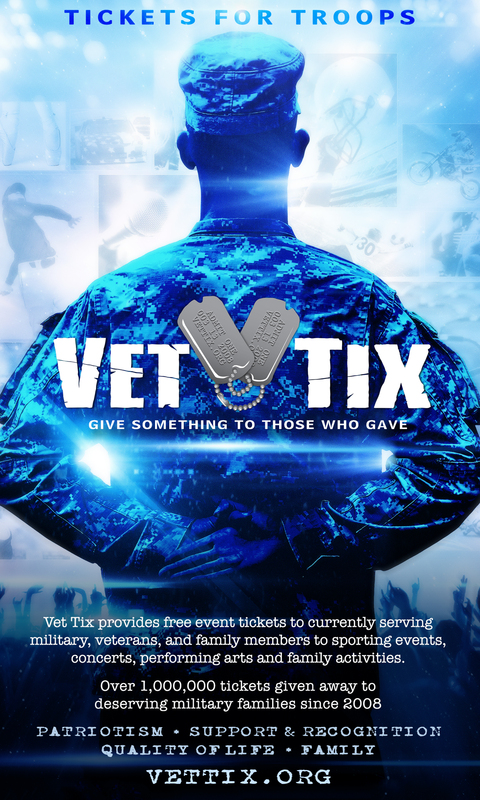 We spoke to the CMO of Vet Tix, Al Maag, who said, to his knowledge, there are approximately 40,000 veteran service organizations, but Vet Tix is “the only organization” that gives away entertainment tickets. The organization has seen tremendous growth since its inception. The organization gave away 810,801 tickets to veterans last year, compared to 1,290 tickets in 2008. This year alone, the organization has given away 494,120 tickets. 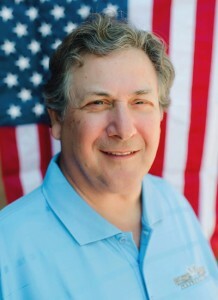 To learn more about Vet Tix, click here.